Robyn has extensive hands-on training in various Swedish Techniques, Deep Tissue, Myofascial, and relaxation massage as well as other modalities. Her previous experience in the customer service industry lends additional opportunities to develop interpersonal skills. 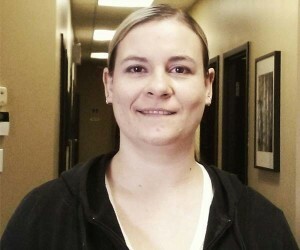 She loves being able to assist people in their rehabilitation, reduction and management of pain. She is also looking forward to adding new skills to her repertoire. When not assisting people, Robyn can likely be found with her nose in a book, or enjoying the sunny outdoors with her friends.